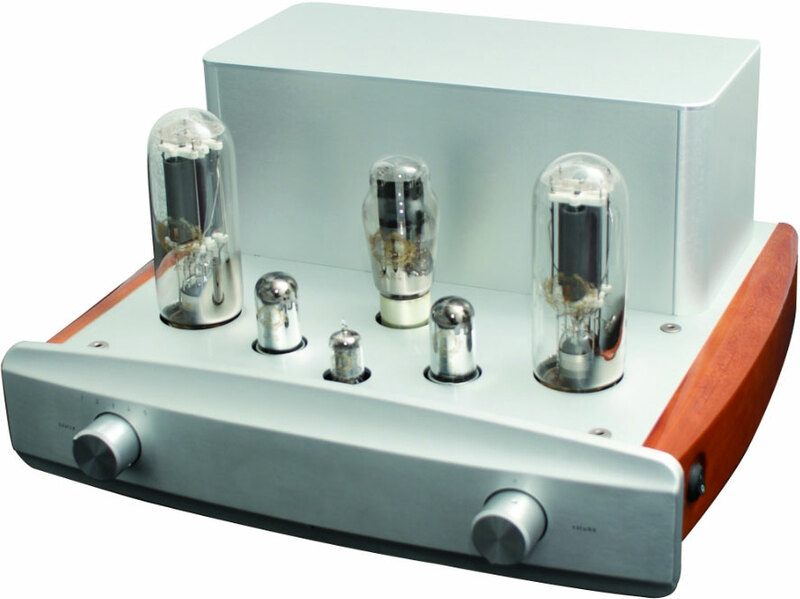 I’d like to begin this review of the Melody AN211 integrated tube amplifier by stating my theory on “good/absolute sound.” I’ve come to the realization that my personal preference to “sound” shifts based on place, time, mood, and almost more importantly, the particular recording. 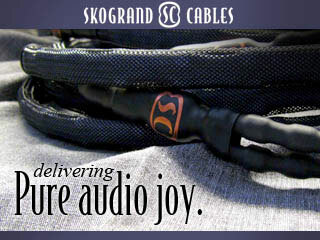 I think a lot of audiophiles act similarly, whether they realize it or not. This seems to explain why we can and do like multiple and different sounding systems. However, it seems that regardless of to what and where we are listening, there are always certain sonic preferences that we appear to hold constant. A system and recording that create a wide dynamic range and a level of detail that transports me to another space, plus texture and tones that grab hold of my heart and send me on emotional roller coasters, are what I consider to be important. I like great sounding music that is fun, not analytically/sonically 100% absolute perfect beyond all life and emotion. And that brings us to the Melody AN211 integrated amplifier, offered to me as a mate for the Zu Audio Omen Def speakers I’ve had the extreme pleasure of listening to this combination for the past few months. The Zu Omen Defs are full range and 98dB-sensitive (98dB) speakers, said to be “happy with the vast majority of amps.” Unfortunately, I did not find this to be the case. Hugh Nguyen, the U.S. importer of Melody amplifiers and designer of the Trinity speakers, after patiently listening to me vent about my issues in finding a pairing amplifier for the Zu Ome Defs, suggested that I give the AN211 a try. 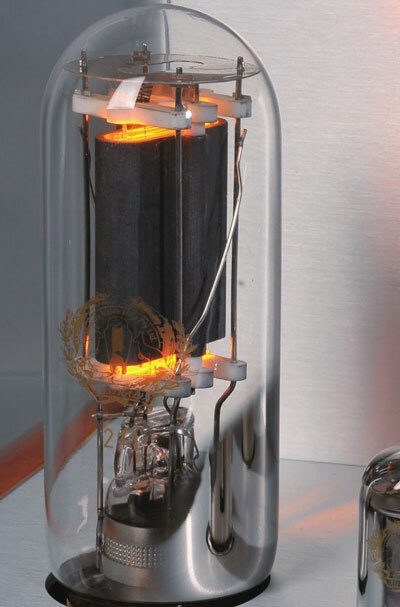 The Melody AN211 is listed as 16 watts, class A integrated amplifier that uses the 211×2, 4P1Sx2, 12AX7x1, 5U4x1 tube complement. It weighs in at 88 pounds, has four RCA and one set of balanced inputs, hand soldered point-to-point wiring, a larger-than 88dB signal-to-noise ratio and 1% THD, with an MSRP of $5,679. In contrast to Melody’s entry-level amplifiers, their higher quality integrated amplifiers are all shiny piano black, slightly dual silver flanked with light brown-varnished wood. 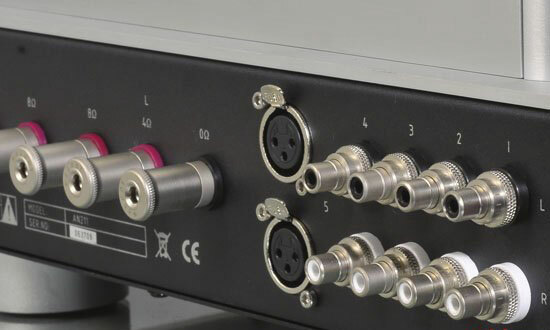 Two good-sized knobs protrude off the front panel, one for input selection and the other, obviously, for volume. Each knob is smooth, and offers a weighted resistance to it. They feel “classy.” The amplifier itself is fairly large, but not to the point of being difficult to fit into a rack. But this physical description and list of specs is not really what the Melody AN211 “is.” The only real way to get to know this amplifier is to demo it for yourself, in your listening room, which I’d highly encourage. I will however, bravely move forth in a noble attempt to the sound of the magnificent AN211. I used the very good WyWires speaker cables to connect the Melody AN211 to the Zu Omen Def speakers. For the digital source I used the Electrocompaniet Prelude CD Player, which was connected to the AN211 with the WyWires, interconnects, again another pair of very good cables from Alex Sventitsky. For the analog source, I used my Rega P3/24 with a Sumiko Evo III Blue Point Special cart and Moon LP3 solid state phono amplifier, which was connected with a pair of Granite Audio #470 interconnects. Now, I have to tell you, at 88 pounds, moving this amplifier is no laughing matter. Singularly setting up the Melody AN211 in my listening room high in the San Gabriel Mountains of Southern California, I had to exert some serious physical strength. But from the moment the needle hit the record of Tracy Chapman’s self title album, I knew, if I had to, I would have carried this amp by hand all 5,597 feet up the mountain to get it home. The AN211 turned the guitar speaker harshness of the Zu Omen Def speakers into liquid gold. Chapman’s voice came forth full of depth and power with a smooth lush texture, and filled my ears with ecstasy. Strokes on her guitar made the air shimmer. The powerful bass opening of Talkin’ Bout a Revolution, typically overbearing and almost out of control, was now a restrained beast, chained down only because it hadn’t yet decided on when to break forth and destroy all who oppose it. The three-dimensional and textured rich sound that suddenly burst from these massive boxy speakers with which I’d had so much trouble, stunned me, and I sat in awe of the AN211’s magical glow. Over the coming months I spun as much vinyl in as I could. Working from home I spent 6 hours or more a day in front of the AN211/Zu Omen Def system. I was addicted to the sound. I even went on a vinyl-buying binge. I had to have new music. The AN211’s ability to create such overwhelming sweet sounds with complex textures and dynamic excitement demanded me to go and explore as much new music as I could afford. Back home after a trip to Amoeba Records in L.A., I would consistently have my mind blown by the quality of music I had in my room, from a system that cost less than $15k in total. Sadly, when I lived in Oakland I had six amazing record stores with-in thirty minutes of car-free transportation from me – while in Mt Baldy I had one, Amoeba in L.A., and hour+ drive away. Southern California is such a wasteland. On God Speed You Black Emperor’s F#A# Infinity 1195-1997, I was completely encapsulated in their recording space, a sound stage so much larger than the room I was in. What an ability to transport me to another space. Ratatat’s LP4 showed that in the right room the Zu OD’s do have bass, and with the right amplifier that electronic music does in fact have a rich textured soul. A friend who is a massive Tool fan sent me Tool’s first album Undertow, which I believe he found at Hot Topic of all places. Yikes!. But it was well worth it. The simple and open space of the powerful but not monolithically in-your-face metal allowed for the recording of the drums to shine through. And the Zu OD’s, being big boxes themselves, combined with the AN211’s extremely clean sound, allowed me to hear the fantastic reverberations recorded off the drum set. At the right volume it was pretty dang close to live. But what really knocked me out was the duo of Ozzie Baily’s voice and Ray Nance’s violin on “Autumn Leaves” from Ellington Indigos. The life, emotion, balance and tone the AN211 brought to this song was something I’ve not heard recreated on a system costing anything close to this. Though I mainly spin vinyl, I did drop a CD in the drive every now and again. With digital sourced audio from the Electrocompaniet Prelude PC-1 CD Player, the AN211 handled digital audio with the same elegance and energy it did with vinyl. The 211 tubes turned the smooth 24-bit processing of the Electrocompaniet CDP into milky, fleshy textures, and the WyWires allowed for a resounding and authoritative bass. But even with the WyWires and 24-bit processing of the Cyrus Logic chip and the elegant 211 tube-set, the digital still lacked that belly richness of the turntable, so CDs were few and far between for me. About two plus months after having the AN211 in, I had to move out from the secluded mountains overlooking the beige Inland Empire Valley, back to the bustling city by the bay, Oakland, CA. The Omen Defs and AN211 were returned and that period of my listening life was now gone. But after a couple months went by Hugh came up for the 2011 California Audio Show and brought the AN211 again for me to listen to. This time, I had in the Broadman FS speakers and Hugh’s own Trinity speakers. Set up in the new room with the same complimenting gear, the AN211 paired perfectly with two new and vastly different speakers. The AN211 retained all its fantastic qualities I heard from the Zu Omen Defs, but slightly altered in the new sonic nature of the speakers. Via the Broadman FS speaker, the sweet, high-end and textured mid-range was even sweeter. The AN211 further enhanced the already smooth and elegant nature of the FS speakers. The AN211’s refined and sensible control of the bass also allowed me to listen to the Trinity’s in a room smaller than they deserved, and kept my neighbors from wanting to kill me from the bass blooms I was experiencing with Mystere IA11 with which I had previously driven them. The Mystere is a fine amplifier for speakers that need a little extra push in the low end, but the Trinity’s didn’t need such help. If it isn’t obvious at this point, it should be: I believe the AN211 is a fantastic amplifier that gave me almost all the same emotional excitement and satisfaction as some extremely expensive tube amplifiers I’ve heard at several shows, and did so without my having to shell out a down payment on a house. I highly encourage anyone who is in the market for a 211 or 300B tube to give the Melody AN211 a couple days worth of demoing. In the end, even if the AN211 isn’t for you, you won’t be disappointed with the time spent.